Leather! Its use goes back to times immemorial and it’s safe to say that there are none or very few materials which can match the rich and classy look and feel of leather. And if you’re looking to bring the incredibly natural aesthetics, the sleekness and bling of this amazing material to your residential or commercial property, then we have something for you – our collection of leather effect bathroom tiles. With a delightful beauty quotient, warmth and functionality, these leather bathroom tiles will make your space look and feel full of life. Carefully crafted masterpieces which will add depth and character to your bathrooms or wet rooms, our leather tiles will set the perfect refreshing and luxurious tone in the setting. Panel Thickness3/4" (Typ), 1/2", 5/8", 1", 1.5"
Reveals3/4" (Typ), 1/2", 5/8", 1", 1.5"
If you’re looking to bring a refined and bold look to your interior space, then nothing comes better than our range of leather effect bathroom tiles. Tiles which boast of perfect leather look with all its sheen and grace, these leather tiles will bring a highly glamorous look and polished feel to the setting. 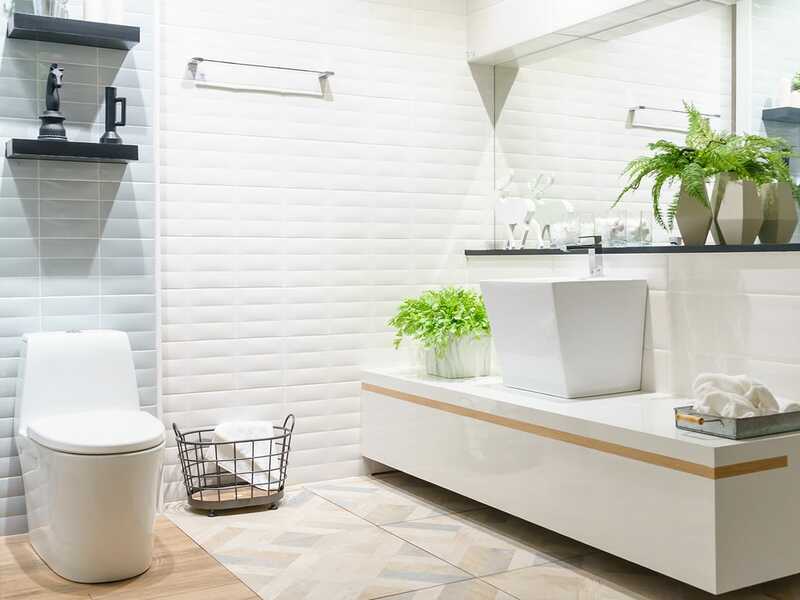 Available in a range of fashionable patterns, hues, textures, sizes and styles, our selection of leather bathroom tiles will make a real statement in the setting. One of those rare collections of accents which when introduced in the home design will take little space yet will lift the spirits of everyone, our leather effect bathroom tiles will be a unique and refreshing presence in the setting. Our leather bathroom tiles make use of our advanced printing technology and high quality materials which make them highly durable and sassy at the same time. These bathroom tiles are easy to clean, easy to maintain and will give you a flawlessly sophisticated space without burning a hole in your pocket. Perfectly suited for homes as well as commercial spaces including hotels, restaurants, airports, bars, entertainment facilities, shopping malls, beauty salons, offices etc, these tiles will bring life to any average space. Leather has always stood for elegance and opulence. And this is exactly what our leather effect bathroom tiles will bring to your space. A rich, aesthetically pleasing indulgence which will mesmerize everyone.